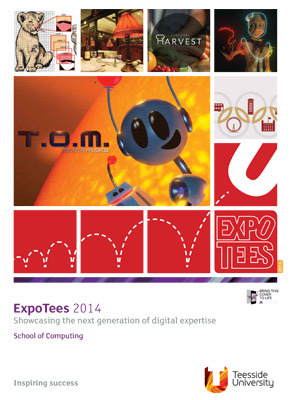 ExpoTees ExpoTees is our annual exhibition of outstanding work from final year students from our School of Computing & Digital Technologies - and an opportunity to recruit bright, new talent to your organisation. Meet the stars joining the workplace in 2019, speak to them about their projects, view their portfolios and listen to their ideas. 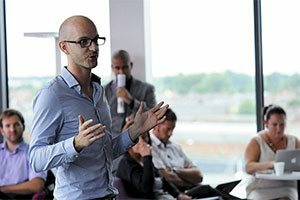 This highly interactive exhibition is a must see for anyone interested in computer science, digital media and web, games, animation, journalism, film production and the arts. A celebration of exemplary work in entertainment demonstrating creativity, imagination and industry-standard skills from our Skillset accredited courses. Previous exhibitors have gone on to work on award-winning film and games titles. 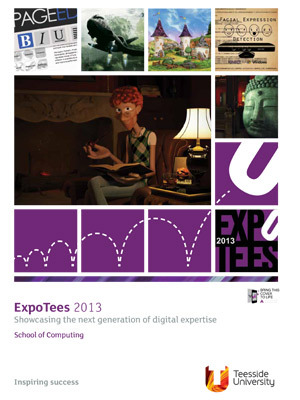 Our exhibition is highly interactive allowing you to play with some of the games produced by students and we'll also have our annual ExpoTees cinema showing some of the fantastic short films created by this year's talent joining industry in 2019. 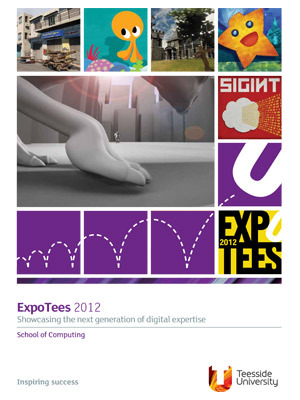 Showcasing a wide range of innovative work in advanced computer technology, design and development, digital media, web, fine art, journalism and film production. 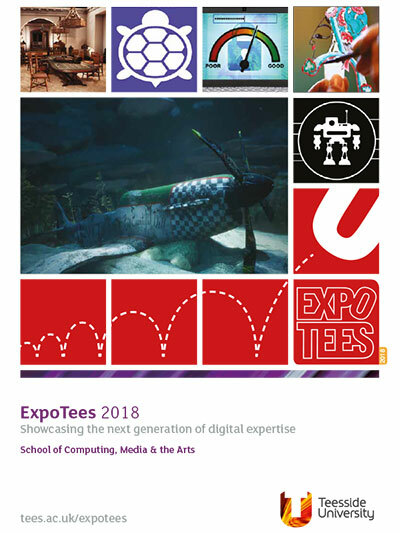 Student work is shown alongside a range of interactive and experimental exhibits using robotics, augmented reality, virtual reality and a showreel of exemplary media and film production work and more. 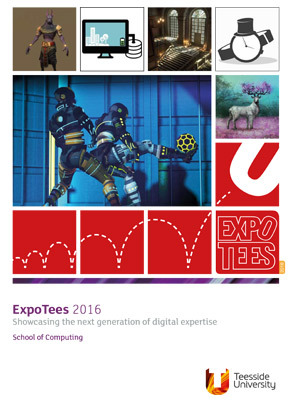 ExpoTees Perform is the School's festival of performing arts, dance and theatre which will be held at The Crypt in Middlesbrough Town Hall. Three theatre performances showcase the very best work of the dance and performance students, including the celebration of the final year of BA (Hons) Dance, and the awards for outstanding achievement. This free event is open to the public. Booking information to be confirmed. 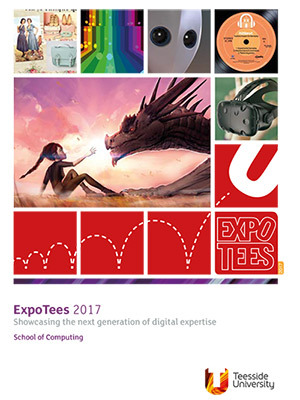 The ExpoTees Awards is again the grand finale to the exhibition with all exhibiting students competing for an ExpoTees trophy and prize. The ExpoTees Journalism Awards recognises outstanding achievements in the field of journalism, where the winning students are rewarded with coveted internship opportunities in industry. The Fine Art exhibition is the culmination of everything students have learned over the past three years. 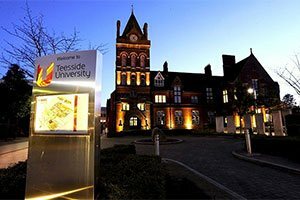 The exhibition will be held at Parkside West on our Middlesbrough campus and showcases ambitious new work in sculpture, video, installation, printmaking, painting, and new-genres. It is collaborative, forward-looking in nature and interdisciplinary in approach. With this exhibition students take an active role with an emphasis on experimentation, engagement with ideas, and innovation. ExpoTees is always the highlight of ZeroLight's Graduate Recruitment Calendar. 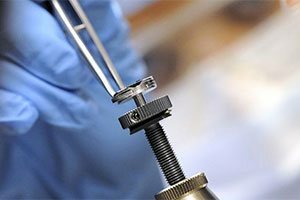 With graduates appointed immediately after every annual visit, it has proved time and time again to be the event to discover new technical talent. 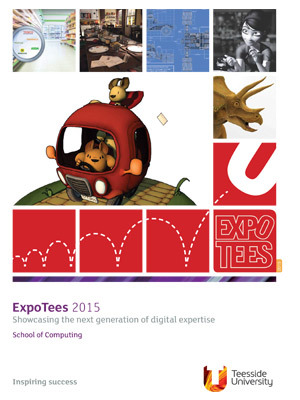 Expotees is one of the premier events for showcasing the next generation of technology candidates on to market. 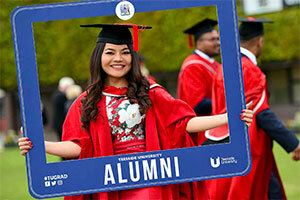 It's great to see a university and students working together to join and add immediate value to the commercial market, and meet the rising superstars of the future as they take their first step into industry. Being at ANIMEX and ExpoTees was a fantastic experience. 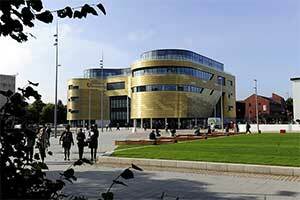 I spent 2 days in awe of the people, students and facilities at Teesside University. I came away excited that I had found my 4th CG Intern for 2018. Somebody I have been looking for from institutes all over Europe. The level of talent is world class and we are looking forward to returning in 2019!